The Italian Festival join forces with some amazing partners that help make the Italian Festival bigger and more successfull! 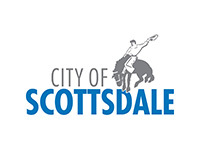 The City of Scottsdale believed immediately in our effort to bring the Italian culture in Arizona and since the first edition, they provided us the venue for our Festival (in the first 3 years at Scottsdale Waterfront and now at the Civic Center Mall! Thanks Scottsdale!